Sailor Fude (doesn’t rhyme with dude) – Leigh Reyes. My Life As a Verb. 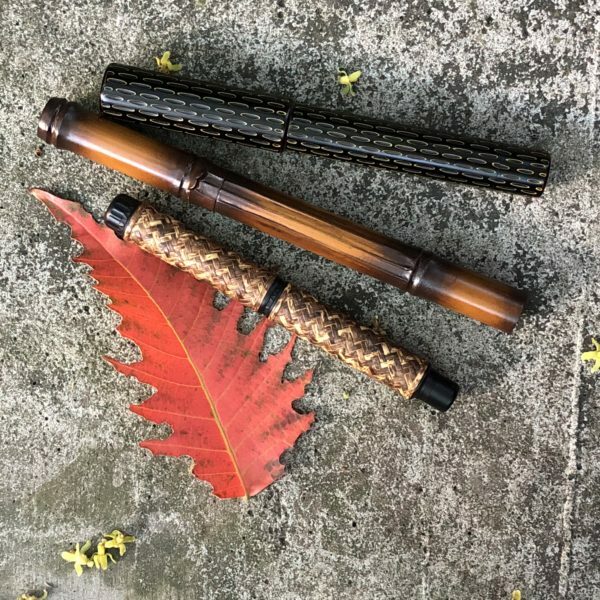 Exotic nibs don’t have to break the bank. 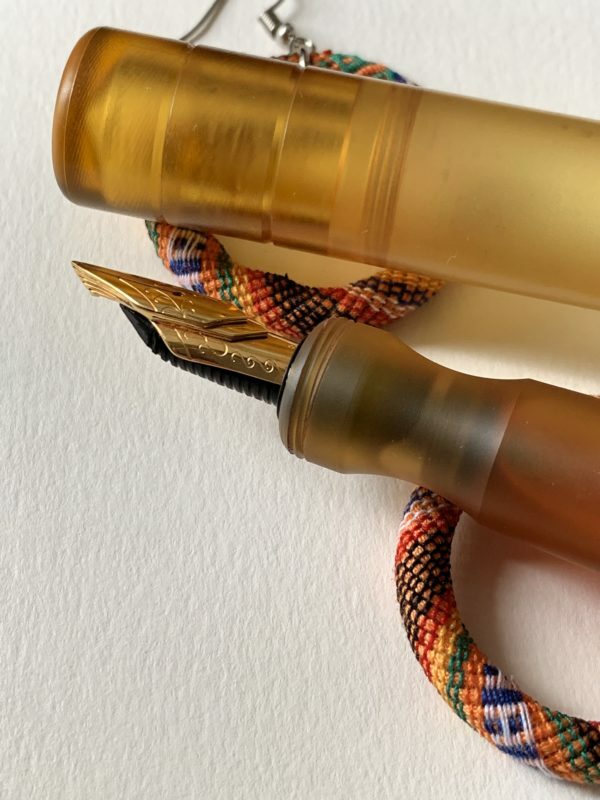 Sailor’s Fude pens aren’t your everyday fine, medium or broad nib. The length is already a clue. 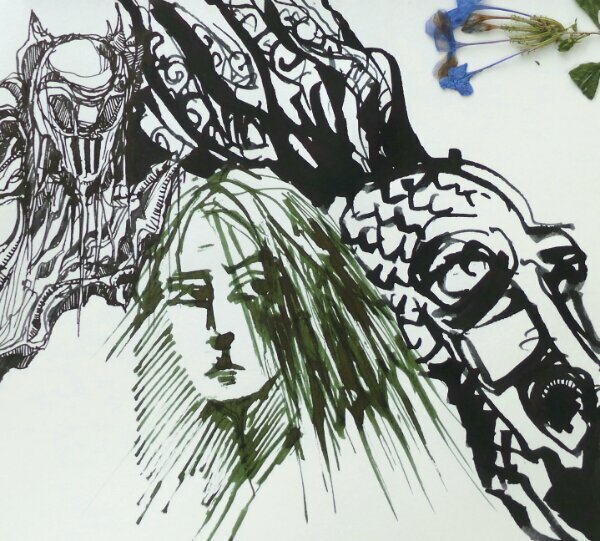 It’s closer to a brush rather than a pen, as fude nibs are meant to mimic brush strokes, and thus be held closer to vertical. 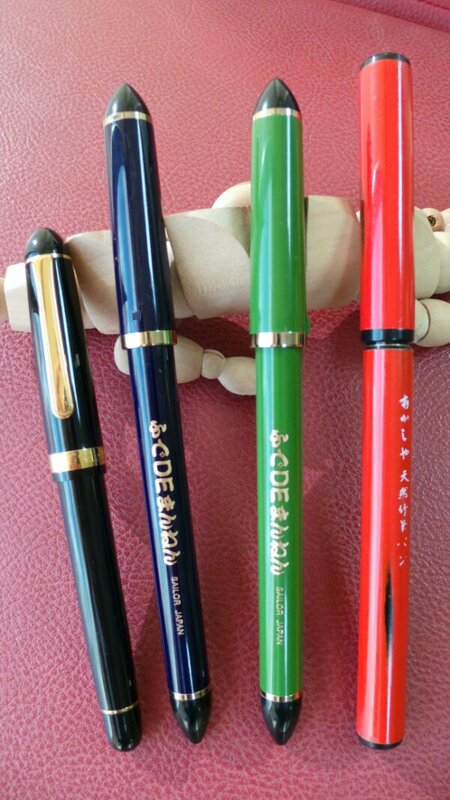 The fude nibs come in two angles and colors: 40° is blue, and 55º is green. 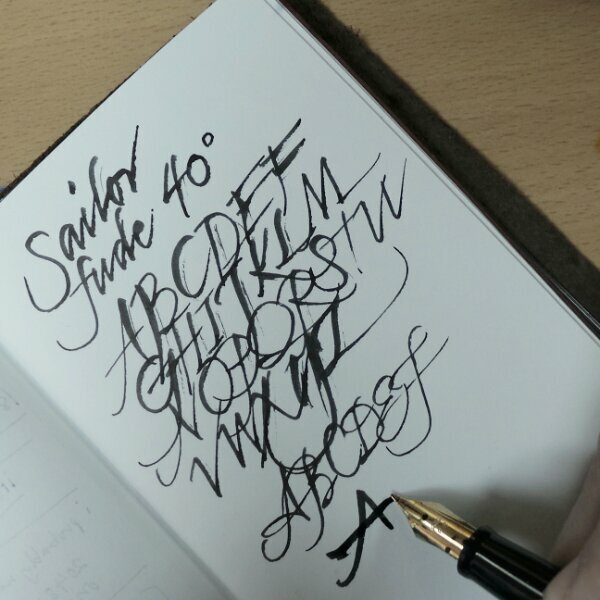 The 40° fude adds a dash of character to daily notes. 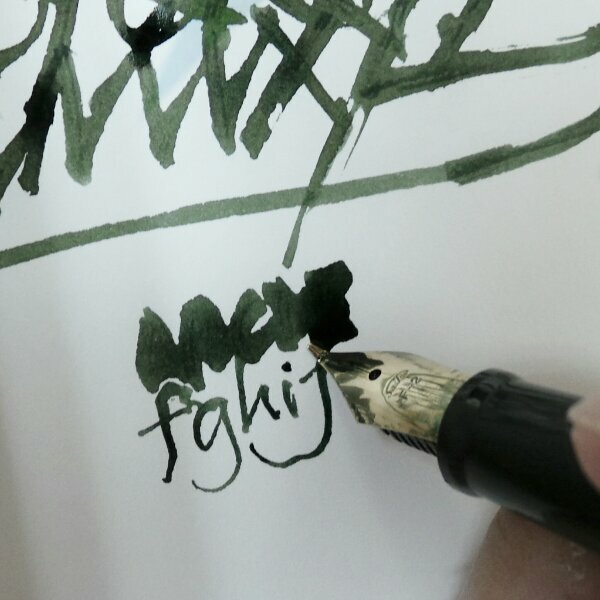 The angle means less of the nib slit is in contact with the paper, making for finer lines. 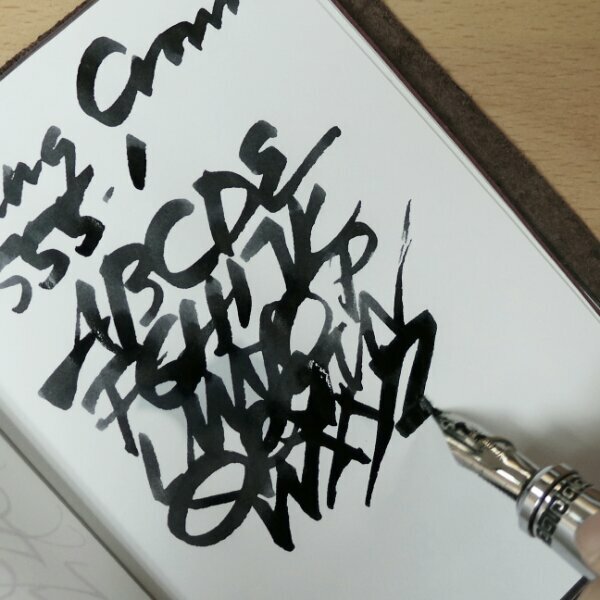 The 55º fude is bold and demands more attention to achieve graceful strokes. 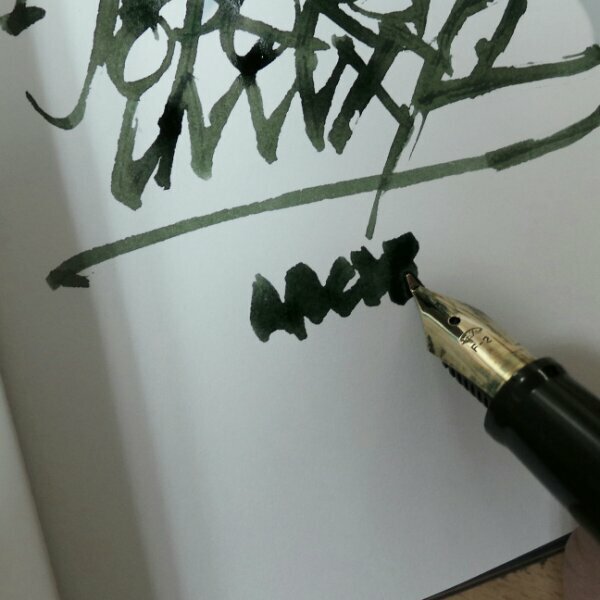 A fude nib is like a zoom nib on training wheels. The principle is the same. Held at a lower angle to the paper, the pen delivers broad swathes of ink; held almost perpendicular, it becomes fine. 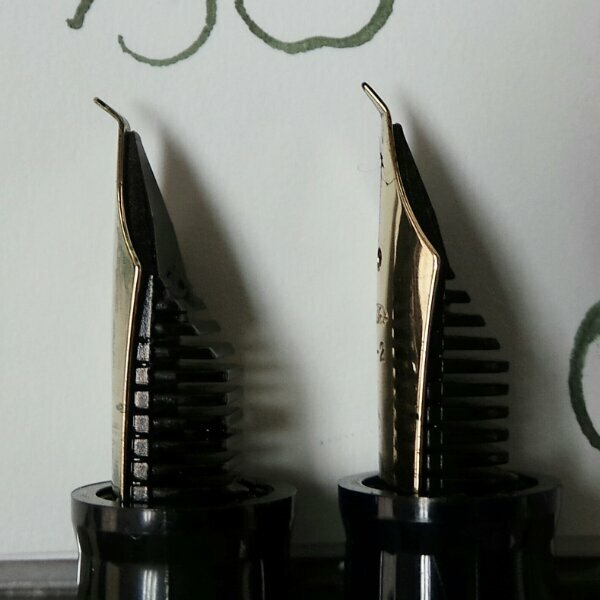 An old favorite pen, the King Crown 555-1, has an overfeed and a longer nib compared to the 2 Sailor Fude pens. I’d give the Sailors a more generous feed if I could. I like brushstrokes that go on sopping wet. I have no kanji in me, so I can’t exploit all the goodness of these nibs. 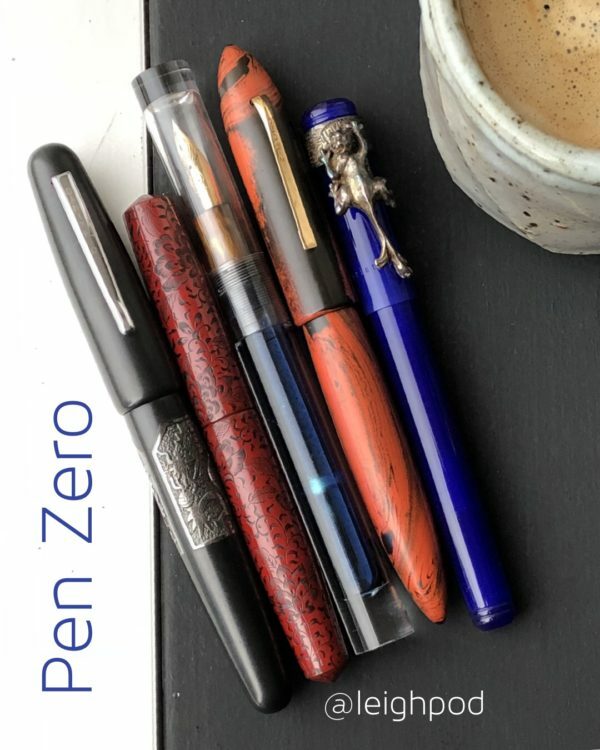 However, if you like doodling and drawing, they are unique enough to deserve to be added to your pen case.